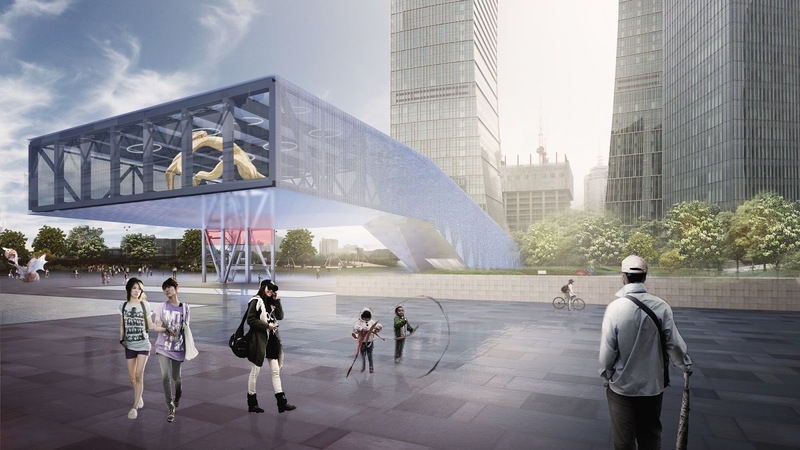 OMA wins Competition for an Exhibition Centre in Shanghai. 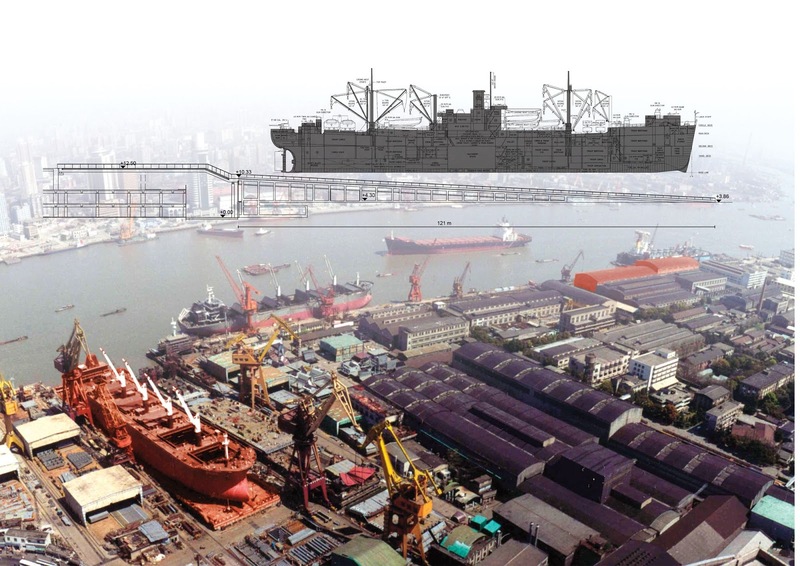 The project site, occupying the former 'Shanghai Shipyard', has a long history of marine industry. 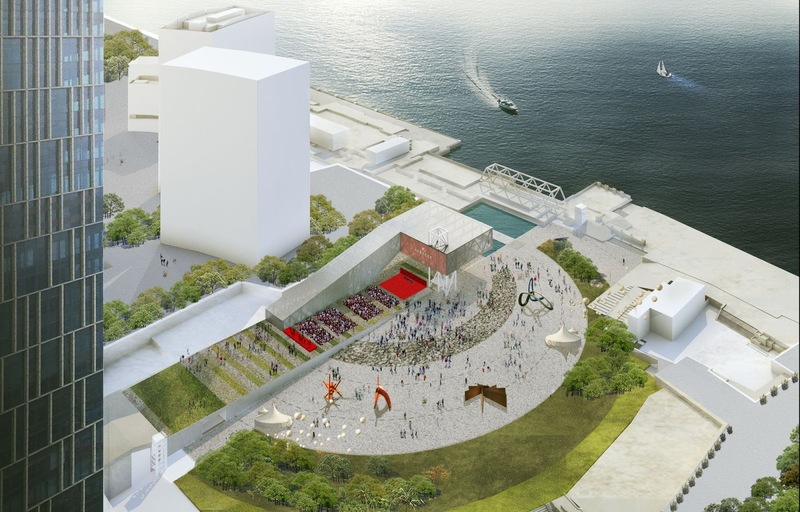 The new Exhibition Centre is positioned on the ramp of a former ship cradle and provides a concentrated event space within the surrounding financial district. 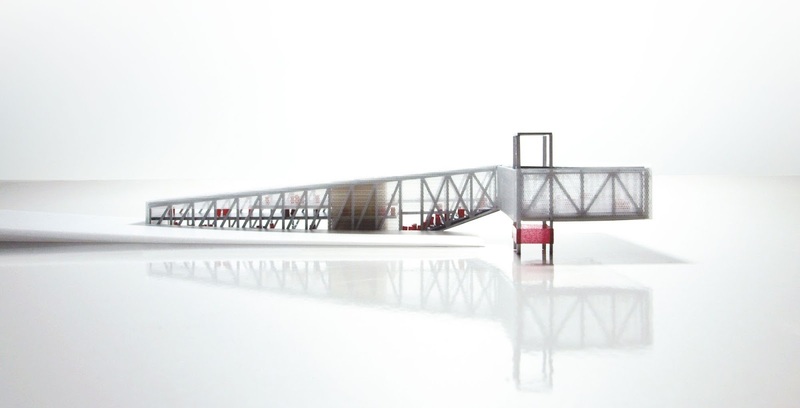 OMA conceived the Exhibition Centre as a "spatial armature," suspended above a plaza and connected to another exhibition space beneath the ramp. The building organizes the open space, adding new programmatic opportunities for film screenings, fashion shows, and concerts. 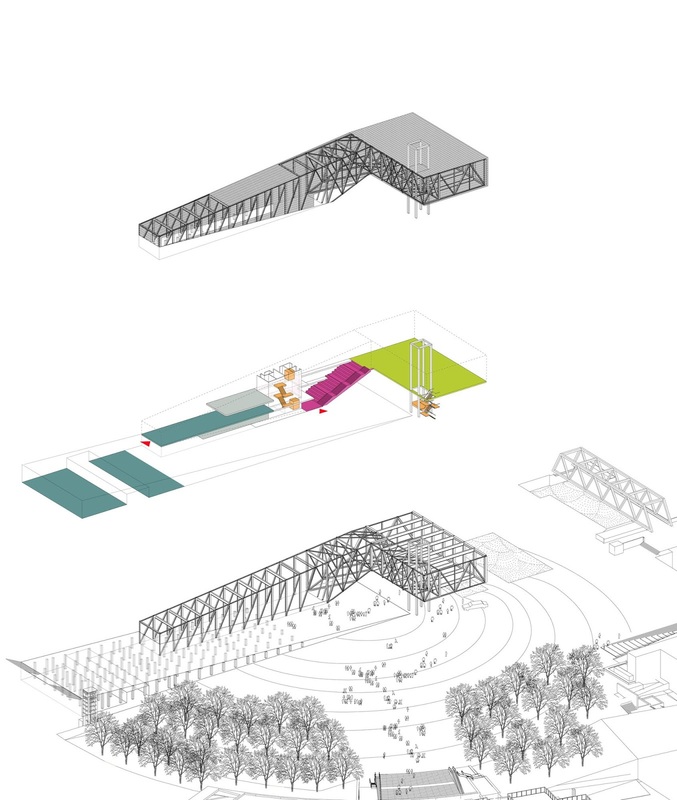 The new volume transforms the existing ramp into a large-scale theatrical space for events while the covered plaza under the elevated box can be used for more intimate happenings. 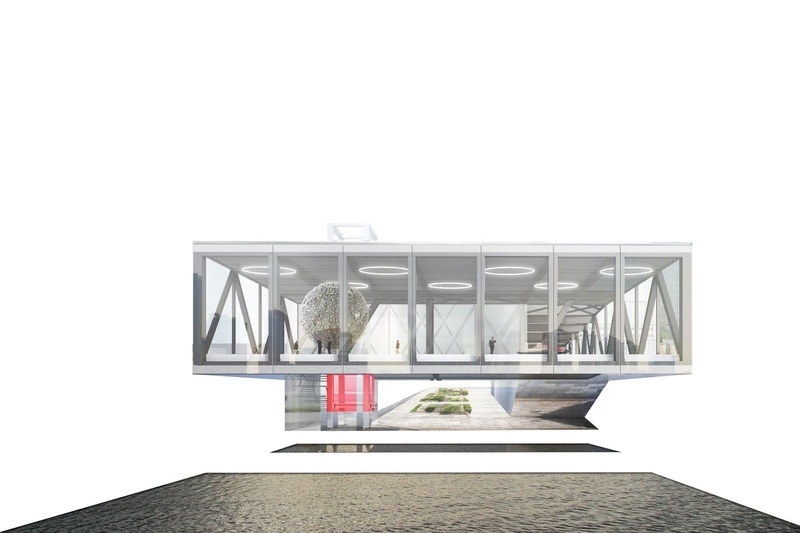 The building's materiality and architecture establish a dialogue with the site's industrial past; a mysterious object wrapped in a metallic mesh exposes its steel structure, echoing the unfinished ship hulls which used to populate the site.